My wife Deborah and I are the parents of a special needs child. Lillian, our only child, was born with significant physical and mental limitations and we have devoted our lives to assuring she is provided the highest quality of care and given all the opportunity to maximize her potential. Lillian turned eighteen last fall, which brought about a whole new dimension to our relationship. We are no longer considered parents, but now guardians. Up until now, we had been personally responsible for most of Lillian’s medical care and living needs, so it was welcome news to be reminded that she was now eligible for governmental benefits as a disabled adult – primarily Medicare and Supplemental Security Income (SSI). It became apparent going through this transition that we needed to be more deliberate in the planning for Lillian’s care in the event she were to outlive us. With the guidance of a highly-qualified attorney, we established a Special Needs Trust to be funded at our death from life insurance and other estate assets. Our Special Needs Trust is primarily designed to preserve Lillian’s eligibility for the Medicaid and SSI governmental benefits. Children and adults can qualify for Medicaid only if their monthly income and the value of their other assets fall below certain limits, which vary from state to state. (Michigan has set a $2,000 asset limit.) Monthly SSI benefits can be used for basic needs such as housing and food, but are need-based, so if Lilian were to inherit assets from our estate directly, she would lose her eligibility for this important benefit program. By naming a Special Needs Trust as the beneficiary in our estate plan, Lillian’s eligibility is preserved and Trust assets will be devoted to supplement the quality of Lillian’s lifetime care. Work with a qualified attorney. Special needs planning is complex and technical, which requires a professional with the requisite experience and a thorough understanding of the current income, gift and estate tax implications to special needs planning. Select a capable, independent Trustee. This could be an attorney, bank or other professional trustee. We chose Legacy Trust – not for obvious reasons, but the mere fact the Trustee has the resources to administer and manage the trust assets effectively, plus will be in proximity to Lillian to monitor her needs closely. Provide a letter of intent. No one knows your child better than you. While not a legal document, a letter of intent can provide important guidelines to the Trustee and guardian(s), such as medical needs, interests, social activities, etc. It is important to review this letter periodically to assure the guidelines reflect current needs. Inform family members. Explain to siblings and extended family members the rationale for establishing the Special Needs Trust. Explanations and clear directions now may help avoid potential family conflicts down the road. 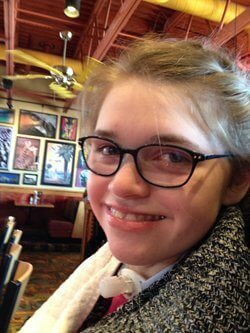 While Lillian’s transition to adulthood was a unique experience for us, we take tremendous comfort in knowing that the quality of her care will endure and that important government benefits will be preserved through our careful planning.